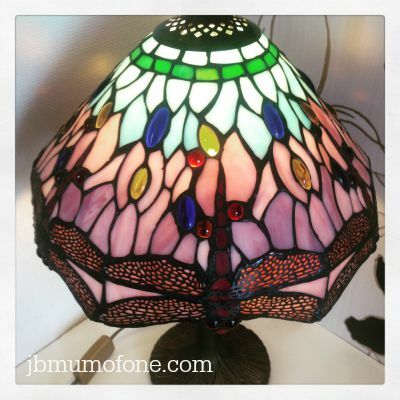 My love affair with Tiffany lighting started many, many years ago, pre-motherhood, when I first purchased this lamp. It has sat in the corner of our lounge ever since and, come winter, I often cannot wait for the evenings when I can curl up on the sofa under a blanket and spend an hour or two reading in the warmth of it’s glow. I love the colours, the dragonflies, the ‘twirly’ base. It has almost become an old friend and I would be devastated should any accident befall it. When we moved into our new house last year one of the first things we did was change the light fittings. The previous owners had left us with very modern, minimalist fittings which were perfectly decent but to me did not really feel in keeping with the period of the house. I wrote a piece recently about sympathetic decorating and I think lighting can also play a huge part in this. It also gave me a chance to indulge my passion for Tiffany a bit more. I may have got a little carried away. 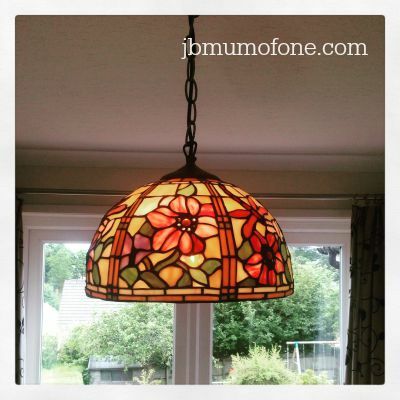 We have an extremely large dining room table so this 3 bulb pendant shade works perfectly. Again I love the dragonfly detailing and the simple blocks of colour around the rim. In fact I loved this one so much I ended up buying the smaller version for the lounge. Our hallway already has a colourful stained glass window so we needed to be careful with colours and opted for this plainer, but beautiful butterfly shade. So, when Lighting Majestic asked if I would like to review one of their products you can imagine my delight. 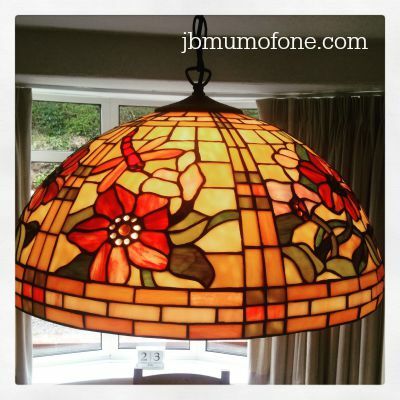 I was lucky enough to be sent this stunning Tiffany hummingbird lamp which now graces the corner of the other lounge. I am almost looking forward to those dark winter evenings again! The right lighting can really change the entire feel of a room and while my choices will not be to everyone’s taste you can find a whole load of inspiration over at Lighting Majestic. Why not pop on over and take a look? 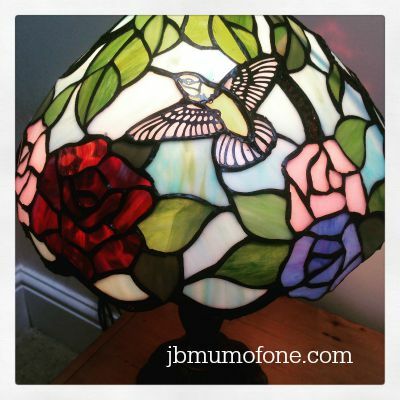 Disclosure: We were sent the Hummingbird Table Lamp featured free of charge for the purpose of this review. All opinions are my own and 100% truthful. « Guilt Free Flapjack: The easiest recipe you will ever find! They have a fantastic selection. She will love it. You are so right, and for the skill involved they are so reasonable. Don’t tempt me with more! 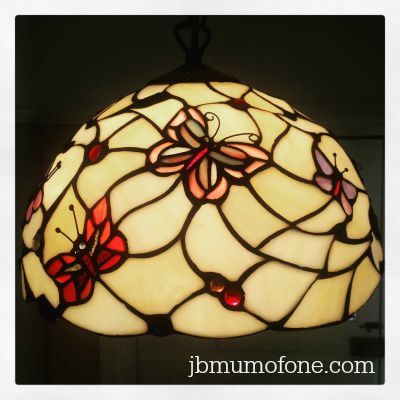 Ah I love this style of lampshade – so attractive!